The offer of A.M.I.S. products it includes valves and solenoid valves, hydraulic and fire-fighting systems, pumps and electric pumps, tanks, autoclaves, air feeders and many other accessories. The company offers ONDASTOP check valves, for civil and industrial systems, aqueducts, waterworks, water treatment plants, steel plants, AMISJET air feeders for water pressurization groups; AMISYSTEM groups for civil and industrial use with customized pumps, AMISFIRE water pressurization units for fire-fighting systems. As far as the valves are concerned, the company proposes valves of every type and for every need for the interception, control and regulation of fluids. 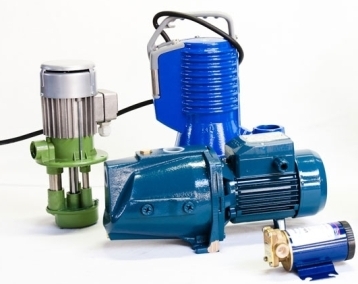 For the pressurization and handling of fluids, the company supplies various types of pumps for every sector of the industry and every domestic plant. The company specializes in the sale of tanks of capacity, shape and size tailored for the collection of drinking water in autoclave systems, rainwater and waste water collection. For the containment of pressurized water for pressurization and lifting systems, the company offers galvanized or stainless steel autoclaves and membrane autoclaves. It also supplies all kinds of hydraulic accessories, such as safety valves, anti-vibration sleeves, couplings, as well as a wide range of hydraulic and electrical accessories. The product range also includes numerous types of filters for each application and also available in self-cleaning, anti-scale and sand removal versions.